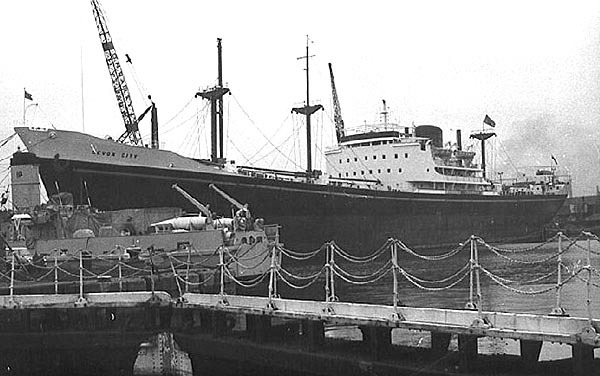 The Devon City and Orient City were sister ships and were built at Doxford's Pallion yard, Sunderland in 1960. ID: 5089336. Launched: 17.9.59. GT:10300. LPP: 143.6. Beam:20.5. 1972 Executive Venture. Executive Venture Marine Ltd, Famagusta. 1974 Tong Beng. Kie Hock SG. Ltd, Singapore. 1978 Penta Y. Penta Y Pte, Ltd, Singapore. 1986 Broken up April 1986, Kaohsiung.